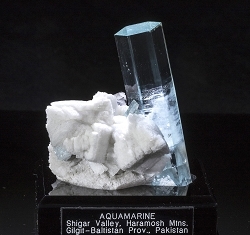 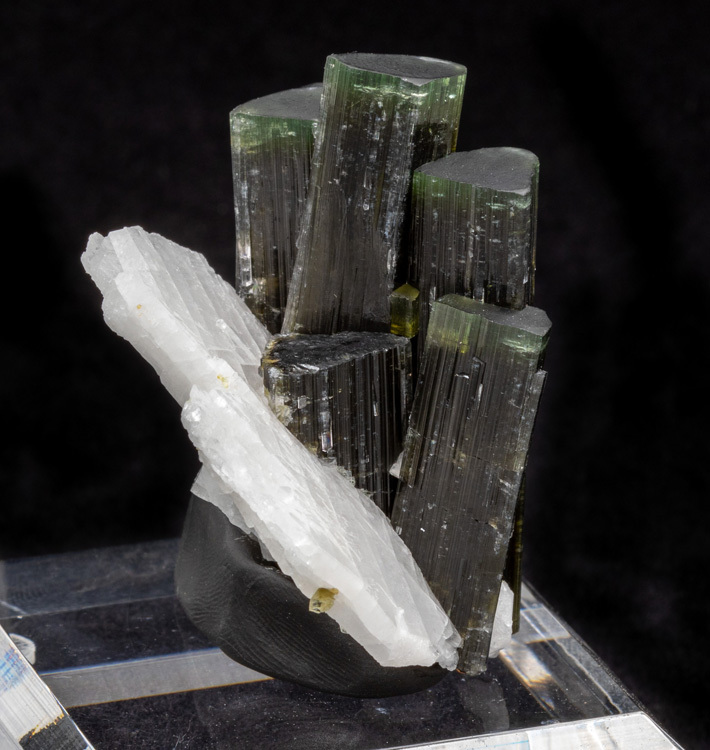 A cluster of 5 primary tourmaline crystals with a blade of albite on the backside. 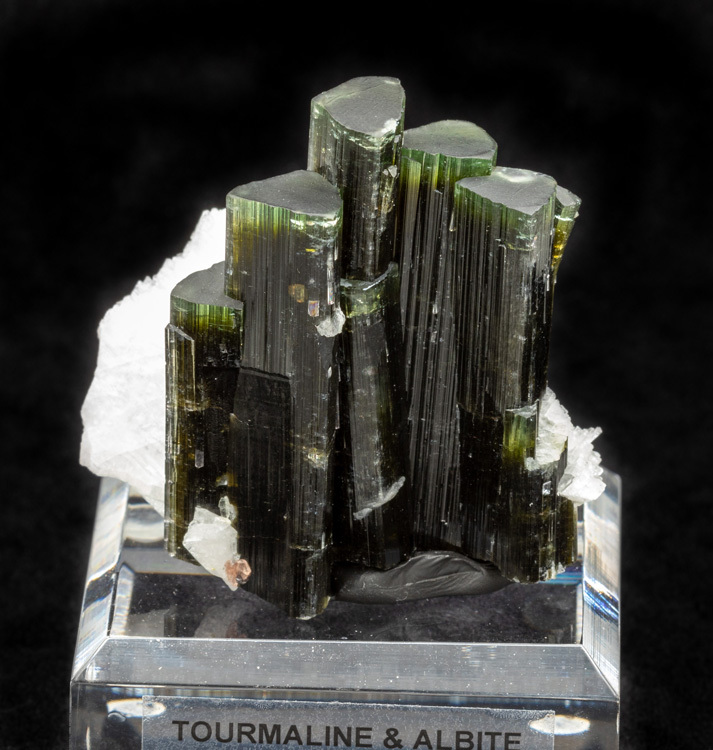 There are several other minor tourmaline crystals including one on the backside with a broken termination. 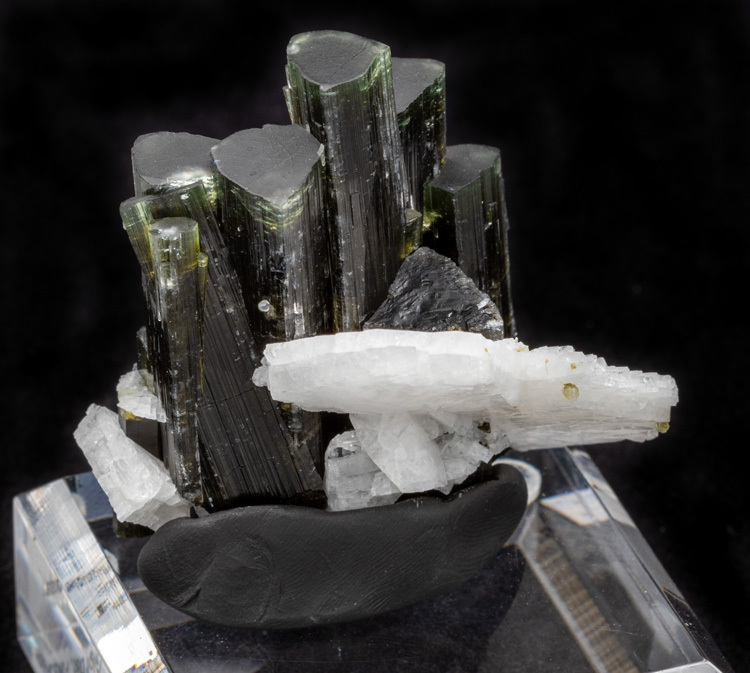 Aside from that one crystal all of the others appear to have clean terminations with frosted, flat tops. 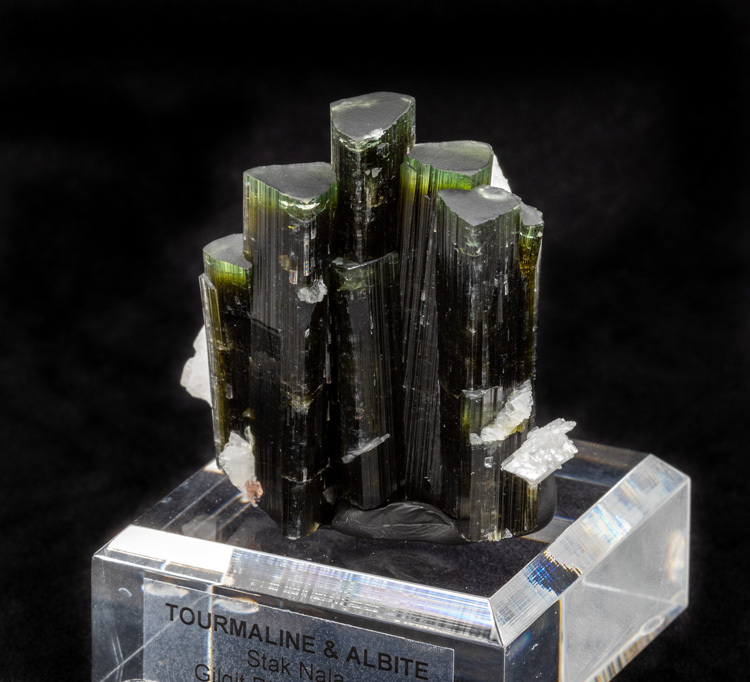 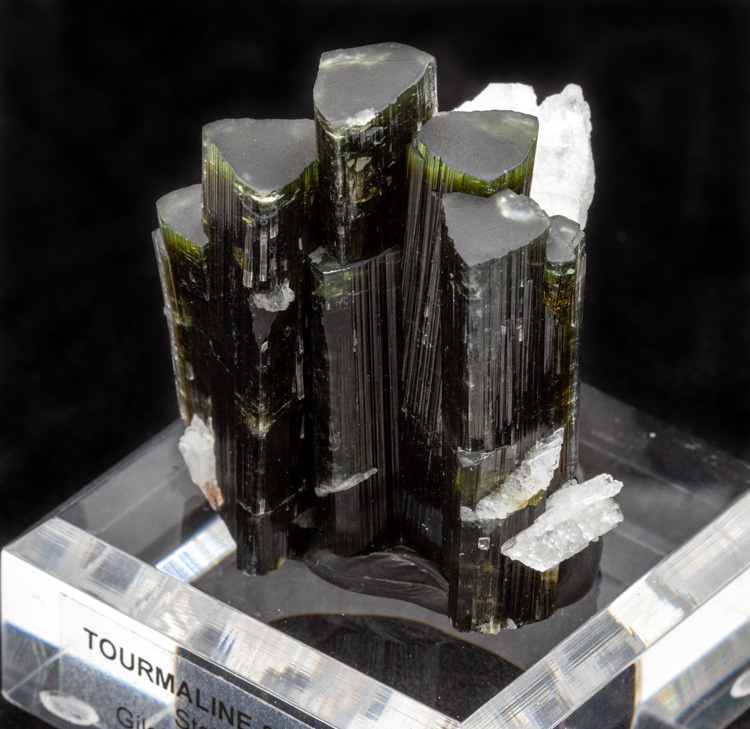 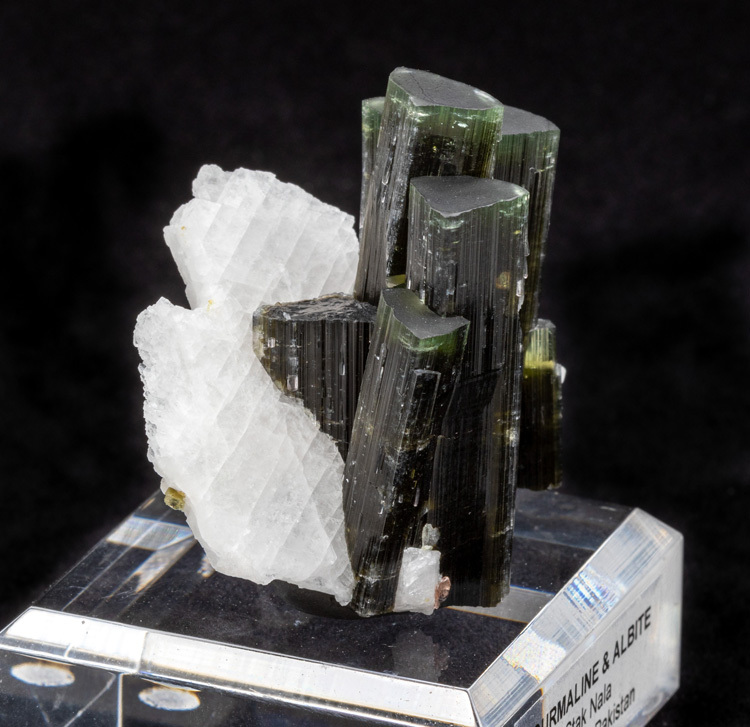 The tourmaline itself is green with a clear-green cap. 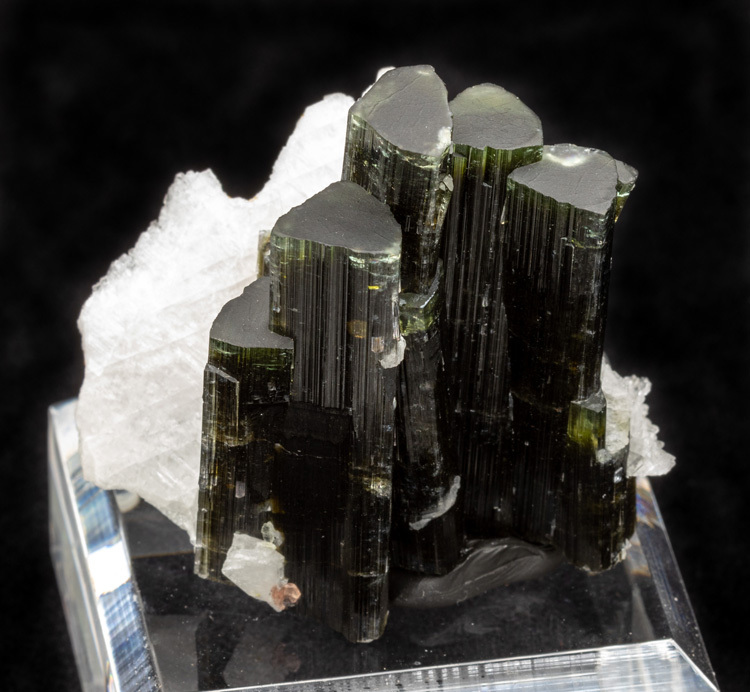 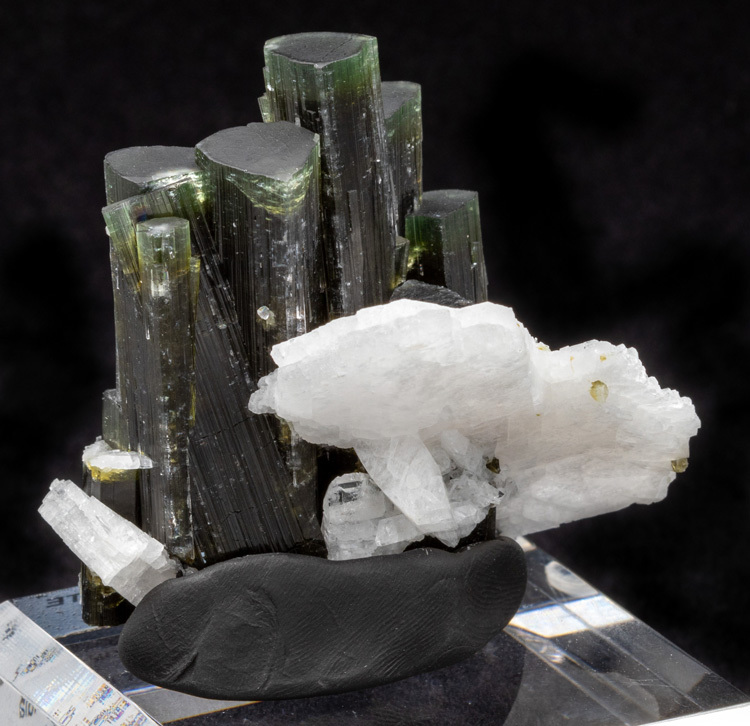 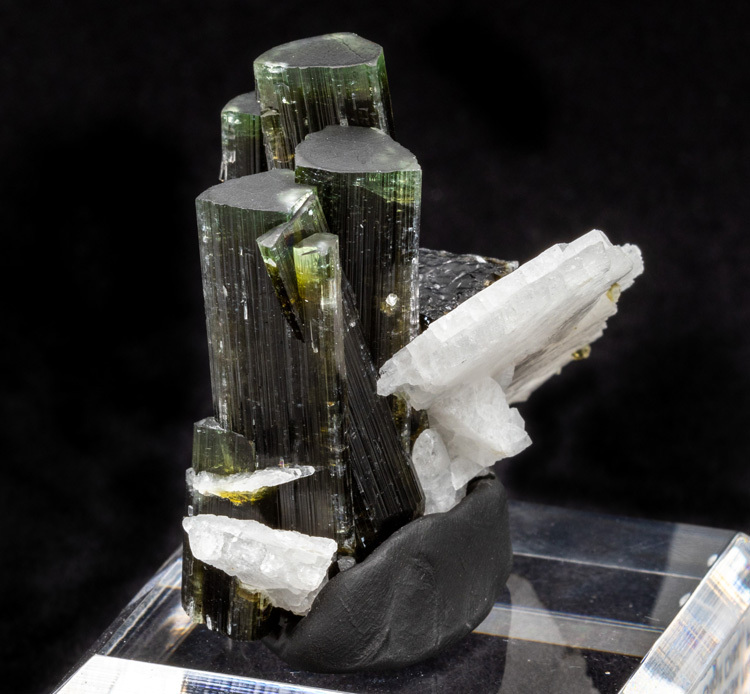 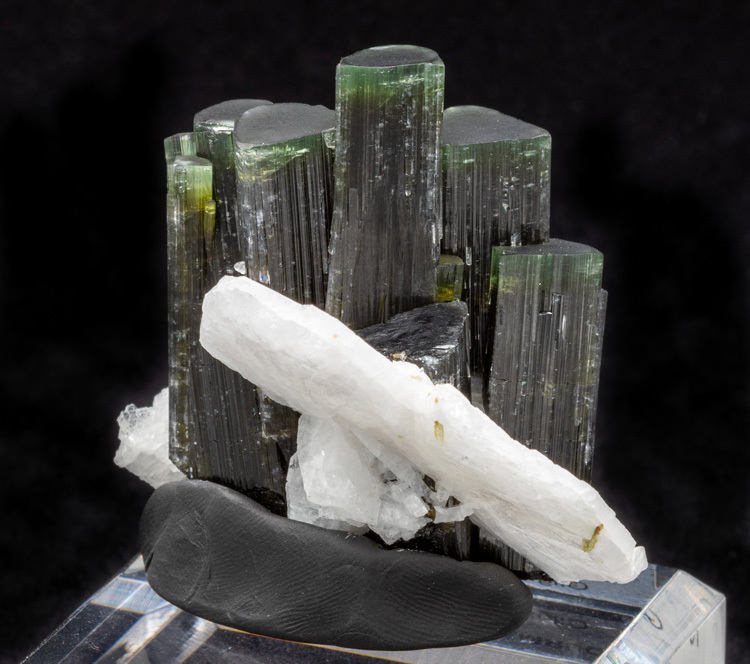 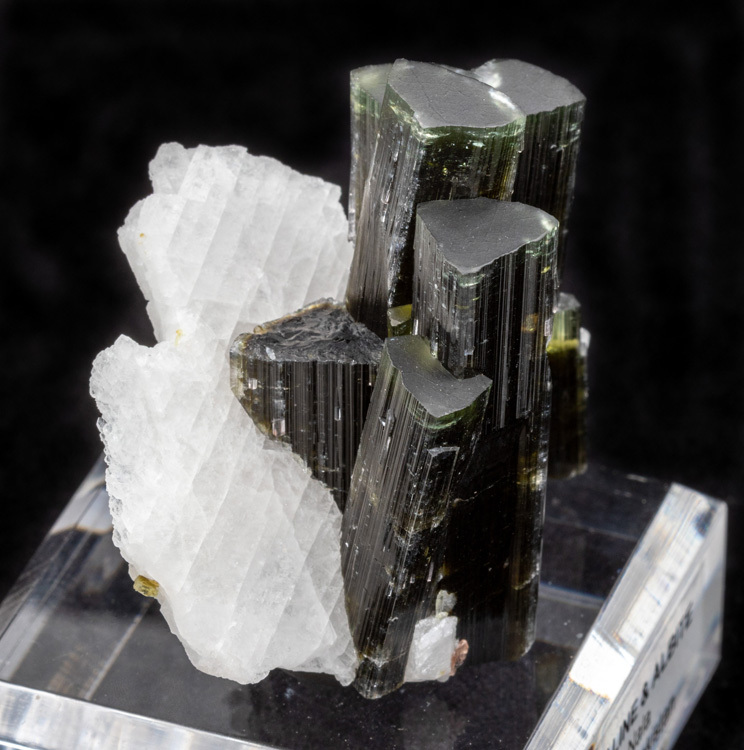 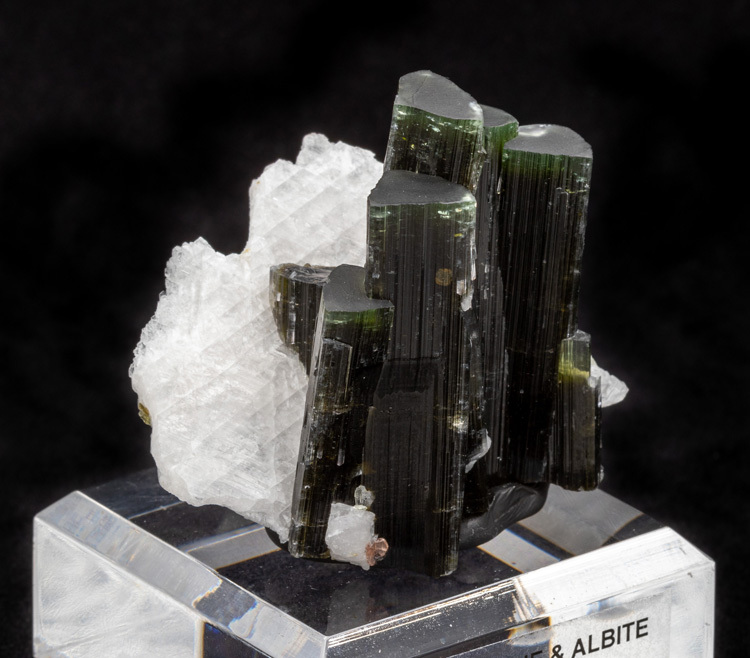 The tall tourmaline in the center is unusual in that it appears to be growing on top of a different crystal, so it has a stepped, bent growth to it.